If your doctor knew you had a health condition that puts you at increased risk for diabetes, cardiovascular disease and many other chronic health conditions, would you expect him or her to discuss it with you? Would you ask questions about how to treat this health condition and take steps to decrease your risk of developing other complications and diseases? Would you make changes that you knew could add years and improved quality to your life? 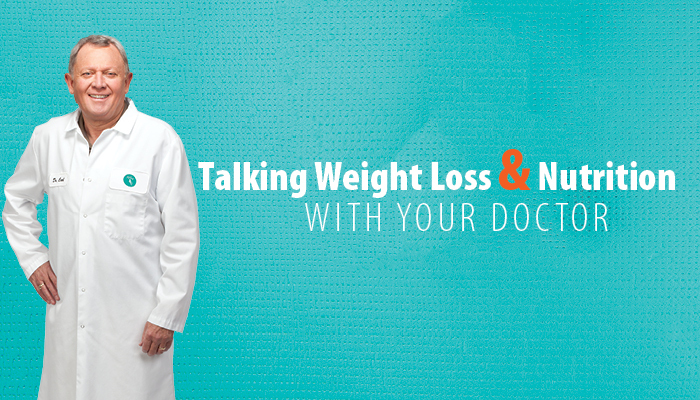 If so, it may be time to talk to your doctor about weight loss. Whether your motivation is based on health, appearance, mood, prevention, wellness or fitness, weight loss is a complex subject that requires change, which most people are naturally resistant to do. Successful weight loss programs address more than just eating habits. They also acknowledge the importance of other lifestyle changes, such as exercise, stress management, emotional support and sleep. Reliv nutrition, in combination with diet and lifestyle changes, has been the foundation of countless successful weight loss stories. Many of the Reliv formulas complement the nutritional needs of those who are working to lose weight through diet and exercise by supplying essential protein, fibre, micronutrients and antioxidants, while controlling calorie intake. Protein reigns supreme as the macronutrient of choice for people trying to lose weight and improve body composition. In addition to helping us feel satisfied longer after a meal, sufficient dietary protein plays a critical role in building and maintaining lean muscle mass. It’s also important for producing enzymes and hormones that regulate metabolism and blood sugar, which may inhibit cravings. Protein comes from a variety of plant (soy, nuts, legumes, grains) and animal (meat, dairy) sources. While all sources of protein can provide the benefits noted previously, soy protein has been identified to have additional weight loss benefits. Animal studies have demonstrated that soy protein suppresses appetite. It also has the unique advantage of improving cardiovascular risk factors. Fibre also helps to maintain healthy weight, lowering the risk of diabetes and heart disease, and controlling blood sugar levels. High-fibre foods tend to be more filling, so you are likely to eat less and stay satisfied longer. The daily recommended intake of fibre is 25 grams for women and 38 grams for men, but most people are not even getting 15 grams per day. Supplementation can help fill this very prominent nutrition gap. Reliv’s FibRestore® contains 10 grams of fibre per serving. FibRestore and Reliv’s soy protein products are also excellent sources of antioxidants, which are essential to reducing the oxidative stress commonly associated with obesity and overweight conditions. In addition, dietary antioxidants may counteract the free radicals and oxidative damage generated by increased physical activity, allowing faster recovery from exercise. Lunasin, exclusively available from Reliv as LunaRich® and available in Reliv Now® and ReShape, pycnogenol and vitamin C are a few specific nutrients that have demonstrated powerful antioxidant and immune-boosting benefits. There is no question that weight loss is a sensitive topic for many people. But the solution begins with change: Change in habits, change in behaviours and change in perceptions. By combining Reliv products with healthy nutrition choices and physical activity, change will happen. Posted in Health and tagged Dr Carl, health, obesity, Reliv, weight.